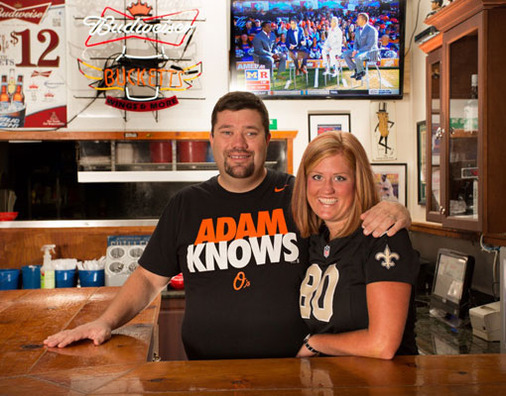 With over 19 TV's, Buckett's is the PERFECT location to catch your game! NFL Sunday Ticket, NHL Center Ice, MLB Extra Innings, SEC Network, Big 10 Network - we've got you covered! 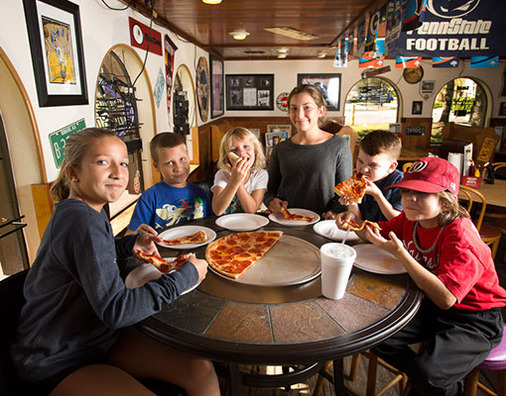 With our game area and Martinelli's Kids Menu, featuring a free apple juice with purchase, Buckett's prides itself in providing a place where the entire family can have a good time. The Buckett’s Girls are known for having the very best customer service in all of Southwest Florida - come in and experience it for yourself. Welcome to Buckett's Wings & More! Located just off College Parkway on South Pointe Boulevard, Buckett's has been serving residents and visitors to Fort Myers for over 25 years. With our casual atmosphere and attentive Buckett's Girls to serve you, Buckett's is a great place to sit back, relax and catch the game on one of our 19 flat screen TVs. Whether its with friends, family, coworkers, or some combination of all three, Buckett’s is THE place to get together and have a great meal at a reasonable price.